Montreal, Sept. 11, 2014 – The Electric Circuit is proud to announce that it is about to reach the 3,000 member mark. “New members join the Electric Circuit every day,” noted Pierre-Luc Desgagné, Vice President – Public and Government Affairs, and responsible for transportation electrification at Hydro-Québec. “Since end of August alone, over 150 drivers signed up for a membership card. We intend to continue rolling out charging stations at the same pace in order to respond to our customers’ needs,” he added. The business model implemented by Hydro-Québec is truly unique in that it is based on sharing costs with the private, public and institutional partners who decide to join the Electric Circuit. Currently, some 70 companies, institutions and municipalities with vision have joined the Electric Circuit model and invested in the network through the purchase and installation of charging stations. By purchasing the charging stations and assuming the installation costs, the Electric Circuit partners support transportation electrification in Québec. 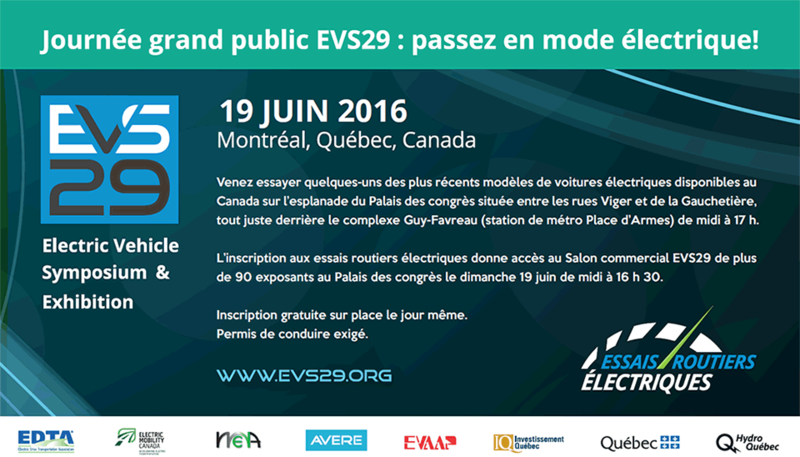 Hydro-Québec is a member of Electric Mobility Canada and s sponsor of the EV2014VÉ Conference.